So my only posts lately have been diigo updates. Can you tell I'm busy looking for new stuff? I'm currently 3:15 into a 3:30 long parent conference evening. 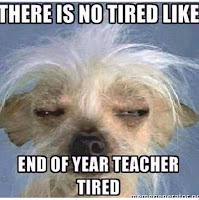 I've talked with 8 parents and have had a lot of down time to get work done (thank goodness!). Unfortunately, I could use another 3:30 to get done what I planned to get done. Oh well! I spent my first hour or so working on a puzzle for Algebra 2 tomorrow. We're finishing up solving quadratic equations (using Factoring, CtS, Quadratic Formula, and Square Roots) and while we've done each one separately (and I've quizzed each one separately) I feel like the kids need to be able to decide on their own what the best method is to use for each individual equation. I gave a worksheet today to help them practice (along with a flow chart that I came up with) and edited @nyates314 's quadratics puzzle for tomorrow. Took a while (and I ended up hand-writing it - yuck!) but I think it'll be good. We'll see!